Welcome to our IJsselbloem Bed & Breakfast Website. Our Bed & Breakfast is part of an old farmhouse built around 1875 in Ouderkerk aan den IJssel, a small village on the banks on the river Hollandsche IJssel. Used for over 130 years as a dairy farm and producing local cheese, it has now been transformed into a residence. In 2010 we became the proud owners and have been completely renovating with great enthusiasm. This has resulted in a great residence with a very attractive B&B, retaining much of the original farmhouse features. The Bed & Breakfast has its own entrance and open plan kitchen diner on the ground floor. On the first floor, two double bedrooms are located. The shared bathroom, containing a shower, washing basin and toilet is off the hall. At an additional charge we now also offer the possibility to book the bathroom for exclusive use. From the garden with several terraces you can enjoy a great view of meadow’s. A lot can be seen and done in the immediate surroundings of our farmhouse. Krimpenerwaard as part of the Green Hart of the Netherlands offers you enjoyment of a typical Dutch “polder” (land gained from the sea by building dikes around it) where lovely walking and cycling routes can be found. 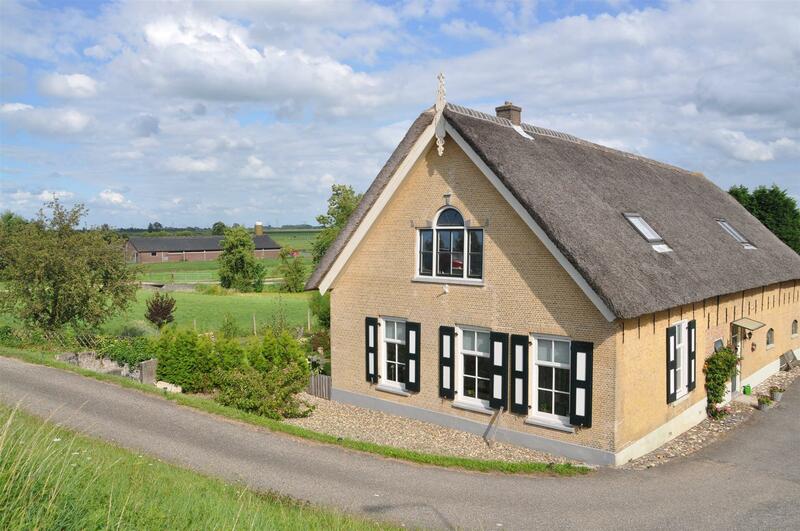 Our B&B is at walking distance of the small village of Ouderkerk aan den IJssel.